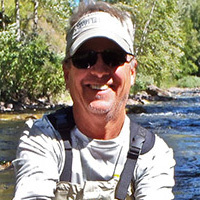 IGFA Trustee Gary Carter is a legendary world-record holder on both light and heavy tackle. With two All-Tackle records for oceanic white tip sharks, the majority of his ten IGFA records were set on eight-pound and lighter line. Among his most impressive angling accomplishments are a 252 -pound Pacific blue marlin and a 357-pound Atlantic blue marlin on six-pound tackle.